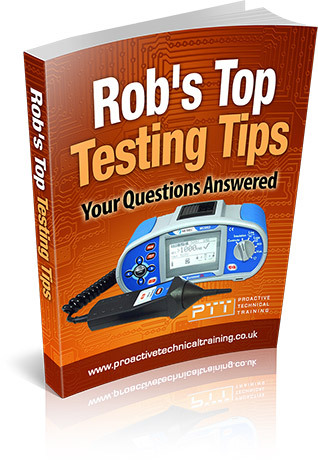 Featuring ten handy hints and tips for becoming a better tester. Part of the Trans-Euro Engineering group of companies, Proactive Technical Training (PTT) is a company that offers a broad range of electrical training courses to help you develop a career within the electrical industry. The aim of PTT is to provide high quality, accessible and affordable electrical training courses and workshops including City & Guilds, 18th Edition, Inspection & Testing courses, Part P and PAT testing electrical courses and help raise the professional standards of the electrical installation industry. We can provide you or your company a range of electrical training courses awarded by City & Guilds and EAL, as well as courses in electrical safety awareness, management of electrical safety, lightning protection, emergency lighting, medical electrical installations, domestic electrics installation and DC electrical courses for the telecoms industry. We are able to offer you training tailored to the specific needs of your company. PTT has been registered to BS EN ISO9001 since April 2011. A copy of our Quality Policy is available on request. 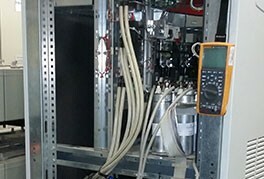 Our focus is on electrical engineering training and consultancy. We offer approved vocational training through awarding bodies such as City & Guilds and EAL. Our experience and affiliations with recognized industry bodies enables us to offer relevant and up to date professional training that can be tailored to a your specific requirements. We provide electrical training courses for the Competent Person scheme required by Part P of the Building Regulations. Our recommendation is a combination of 18th edition training (C&G 2382-18) and an inspection/testing course (C&G 2392-10 or 2391-50). Alternatively you may wish to take our Domestic Installer electrical training course, designed for those wishing to start a new career in installing domestic electrical circuits. Our full range of Commercial/Industrial electrical training courses includes management overviews, operation and maintenance as well as the electrical systems design and deployment courses. Our courses are a pre-requisite for many of the mobile phone network providers and internet service providers and many of the electrical contractors serving these industries. 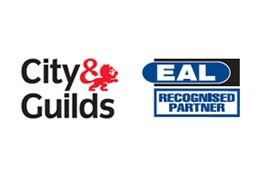 Approved electrical training courses by City and Guilds and EAL for you or your company related to the latest industry regulations for domestic, commercial and industrial installations. We are able to provide you specialist training courses applicable to a wide variety of industrial, commercial and domestic applications. These courses provide you with expert training in, for example, Lightning Protection, Medical Electrical Installations, Emergency Lighting, Power Quality etc. We provide training courses to commercial and industrial clients, covering a huge and growing range of topics across many industry sectors. We are able to tailor course to a clients specific requirements or set of circumstance to ensure the training is relevant and appropriate.